Lucy Richardson is a librarian at the Bodie House Lighthouse Library. She is a sweet girl who also lives in the lighthouse. When a wealthy man Jay Riddle dies I. The rare books room, Lucy finds herself in the middle of the investigation. When things go bump in the night and there are more suspects than trick or treaters, Lucy finds herself more determined to find out who done it. Can Lucy find the killer before the murder tarnishes the library’s good name? I enjoyed this cozy read. When I read the blurb, I thought ohhh murder and things that go bump in the night. My kind of read. I did enjoy this read. It had the perfect little spooky vibe to it. But it felt a bit flat in some areas. It did not have as much action as I would have expected out of ghostly reads. I also felt that some things that went in bump in the night were not explored enough. 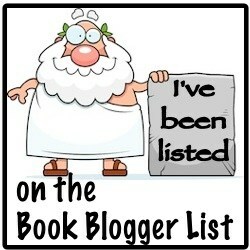 I thought that some of those things, if explored more would have added some more excitement to the story. I did find the characters cute and sweet. I especially loved the cat Charles. He was like a little person. He had such character. Conner and Lucy are a cute couple and I really would love to see their relationship blossom more in the future books. Theodore was a quirky man, who I thought was really sweet. I got a kick out of Louise Jane. She was a perfect storyteller and her little creepy boat. What is it about that boat? Overall this book is a great cozy read that will keep you guessing till the end. A charming and entertaining read with a fun and wonderful set of characters. Wonder what else is in store for Lucy and the gang. 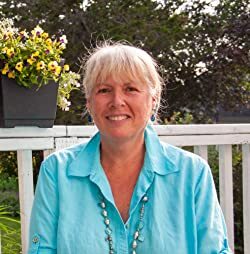 Vicki Delany is one of Canada’s most varied and prolific crime writers. 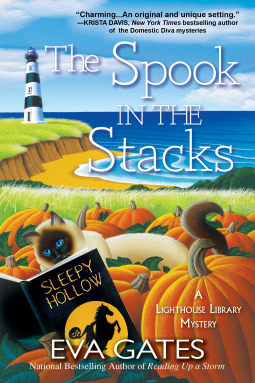 Most recently, she is the author of the Year Round Christmas cozy mysteries from Berkley Prime Crime and (writing under the pen name of Eva Gates) the Lighthouse Library mysteries also from Berkley. She writes in several different subgenres: Cozies for Berkley Prime Crime (REST YE MURDERED GENTLEMEN and READING UP A STORM – under the pen name of Eva Gates); Standalone novels of suspense (Scare the Light Away, Burden of Memory, MORE THAN SORROW from Poisoned Pen Press), traditional village/police procedural (The Constable Molly Smith Series from PPP – the eight of which is UNREASONABLE DOUBT) and the lighthearted Klondike Gold Rush series (Gold Digger, Gold Fever, GOLD MOUNTAIN from Dundurn Press). She also writes Rapid Reads novellas for Orca Books including the mulit-award-nominated JUBA GOOD. She began her writing career as a Sunday writer: a single mother of three high-spirited daughters with a full-time job as a computer programmer. Sunday afternoon was – and at that, only now and again – the only time she had to spend all by herself, with a single candle on her desk for a bit of atmosphere, a Bruce Springsteen tape in the tape deck, and a nice cup of tea at her elbow. When she felt like really letting loose, the tea might have turned into a glass of wine. This entry was posted in Book Reviews, Cozy Mystery Review Crew and tagged July 2018. Bookmark the permalink. I just read the first book in this series, I really enjoyed it. This one sounds good as well. Nice review.